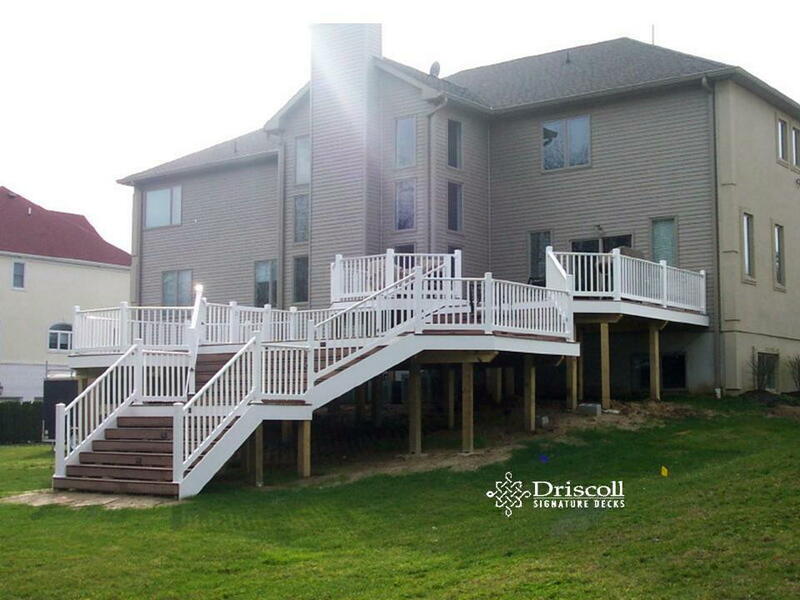 Info:This Driscoll Solution Story a Sea Isle City Decks is a tri-level deck on a sloping property with redwood composite decking boards, white vinyl railings, lovo accent lighting, a 12' step-up octagon, built-in spa, flared and inverted flared stairs. 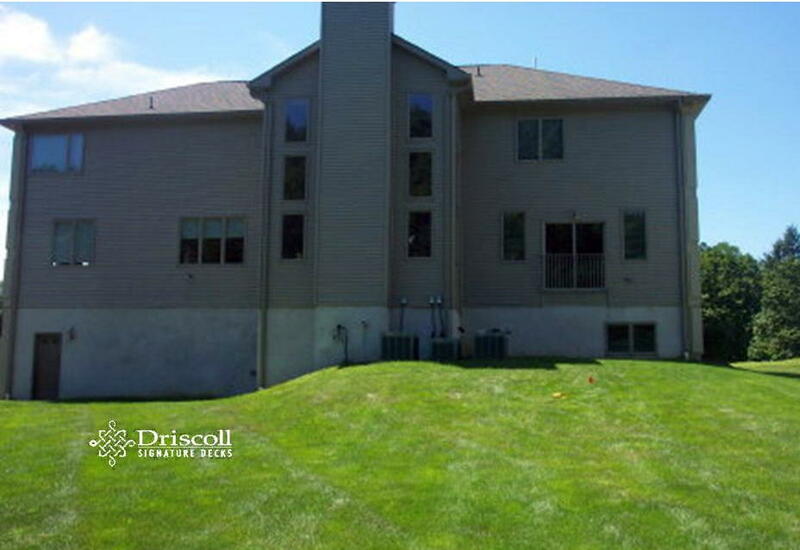 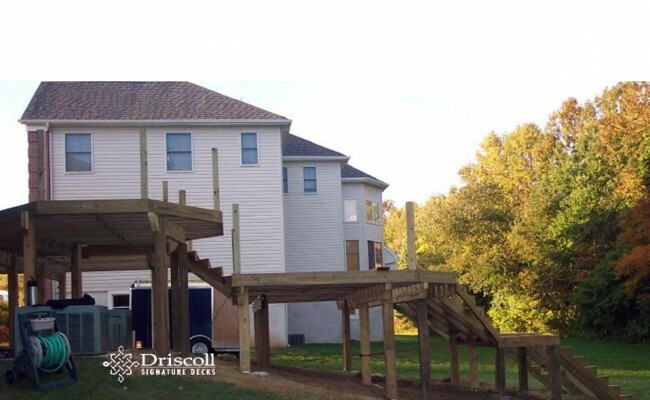 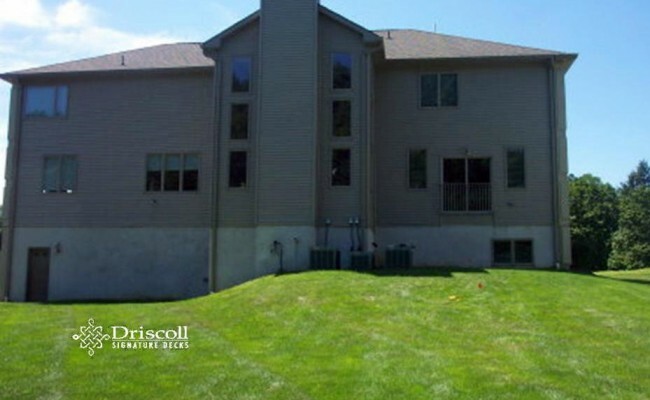 This Driscoll Solution Story starts with a beautiful home with a large backyard, but with a sharp slope running down and away from the house. 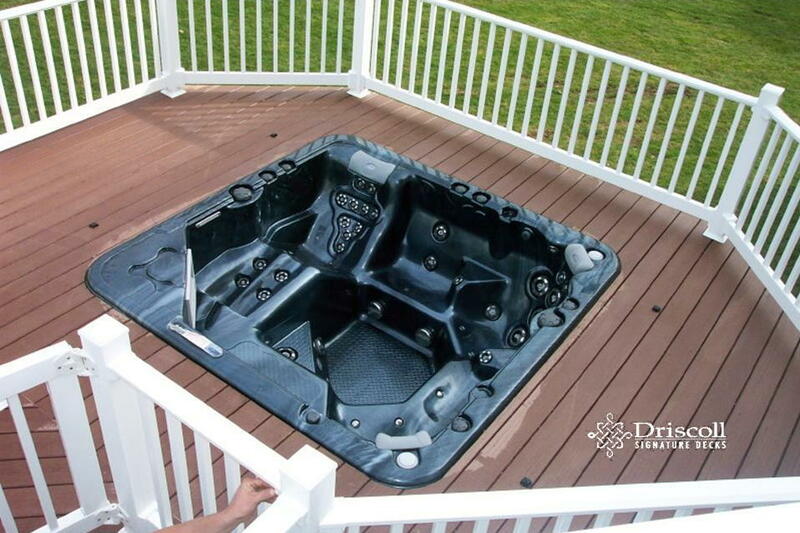 The homeowners wanted a good sized upper deck area for dinning al fresco’ and then a step-down area for their built-in spa. 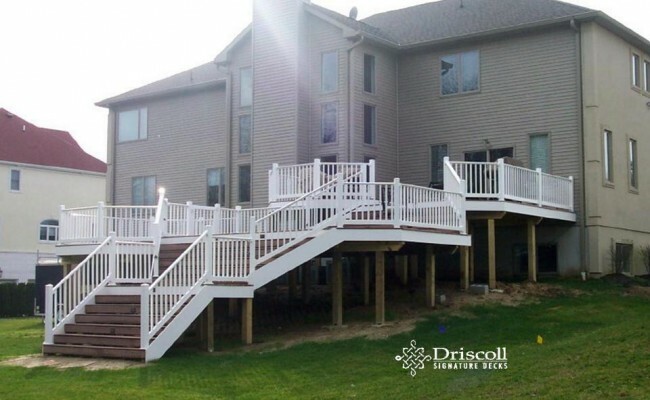 We used redwood composite decking boards with white vinyl railings, a 12′ step-up octagon for a separate dinning area, a flared upper stairs to the spa level and then inverted-flared stairs down to a platform stairs to the grade. 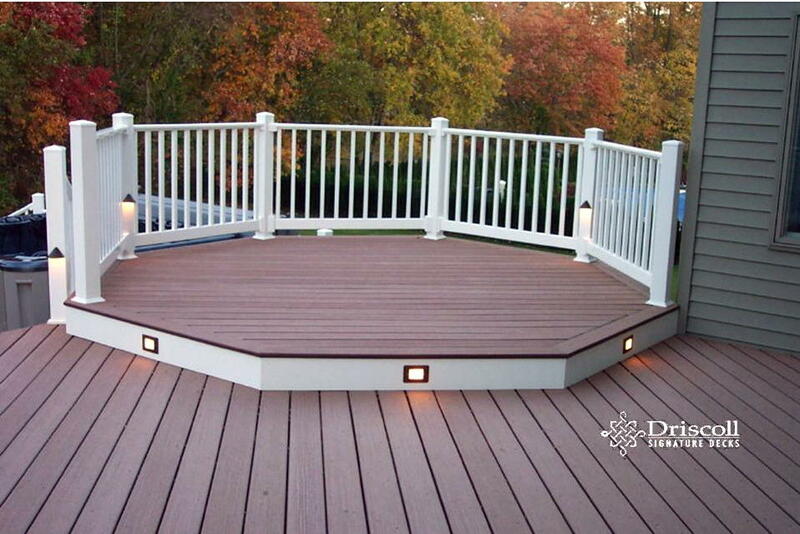 We also installed extensive lovo accent lights on all level posts and stairs. 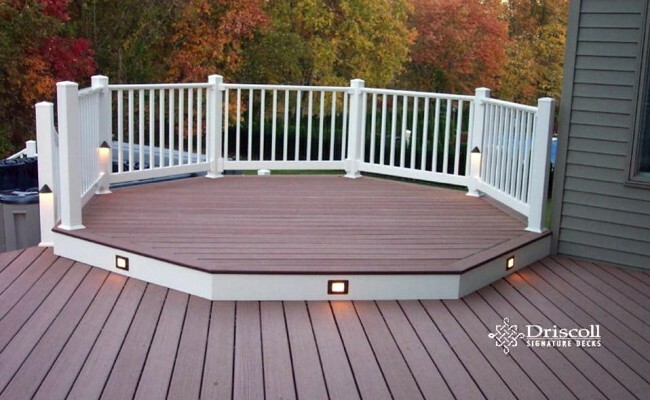 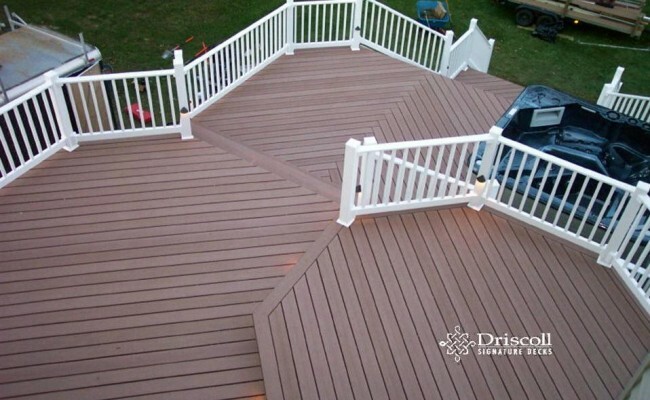 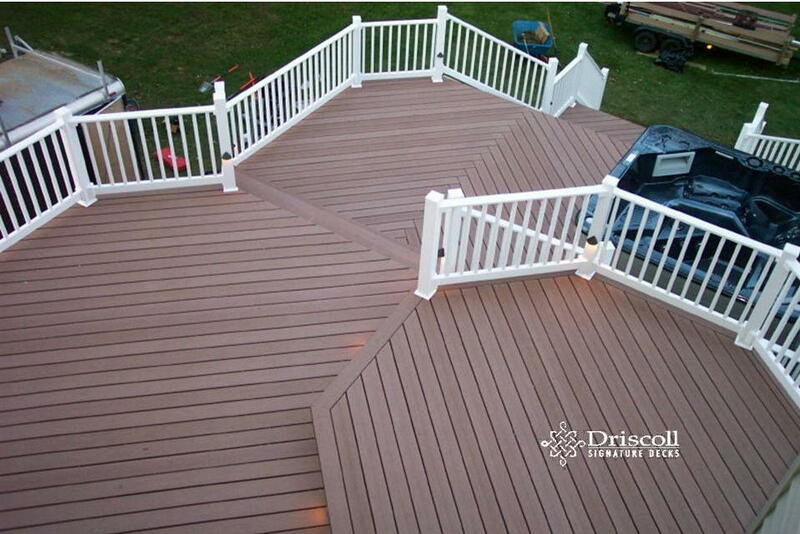 You will find quality deck designs, consultation and excellent craftsmanship when you search for Driscoll Signature Decks at Deck, Decks, Deck Builder, Deck Contractor, Decks NJ, Deck Builder NJ, Deck Contractor NJ, Sea Isle City Decks, Decks Sea Isle City NJ, Deck Sea Isle City, Deck Sea Isle City NJ, Sea Isle City Decks, Sea Isle City NJ Decks, Sea Isle City Deck, Sea Isle City NJ Deck, Deck Contractor Sea Isle City, Deck Contractor Sea Isle City NJ, Sea Isle City Deck Contractor, Deck Builder Sea Isle City, Deck Builder Sea Isle City NJ, Sea Isle City Deck Builder, Sea Isle City NJ Deck Builder, Sea Isle City NJ Deck Contractor. 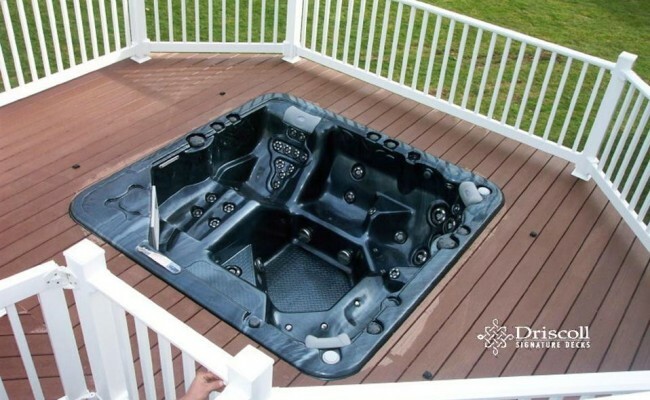 So, we design and built our ‘signature robust framing’ to flow gently down the slop. 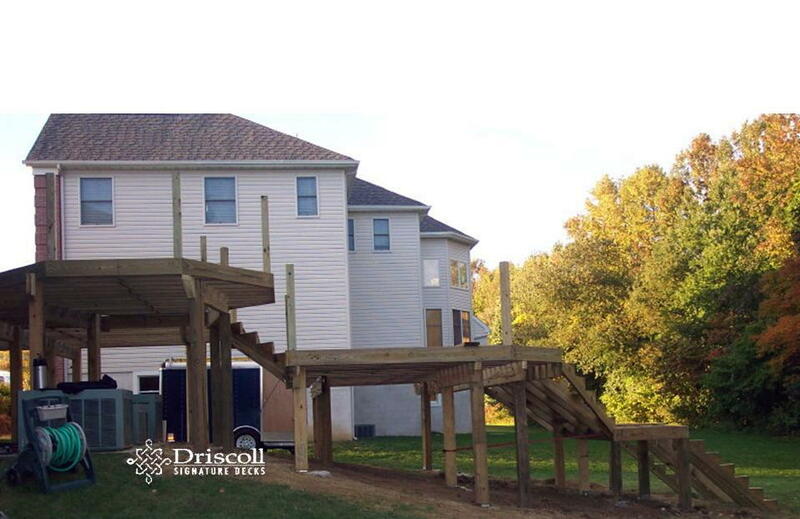 The sun always shine on a new Driscoll Signature Deck…!